Over at Geylang Bahru station, progress has been quick with the station reaching the mezzanine level. 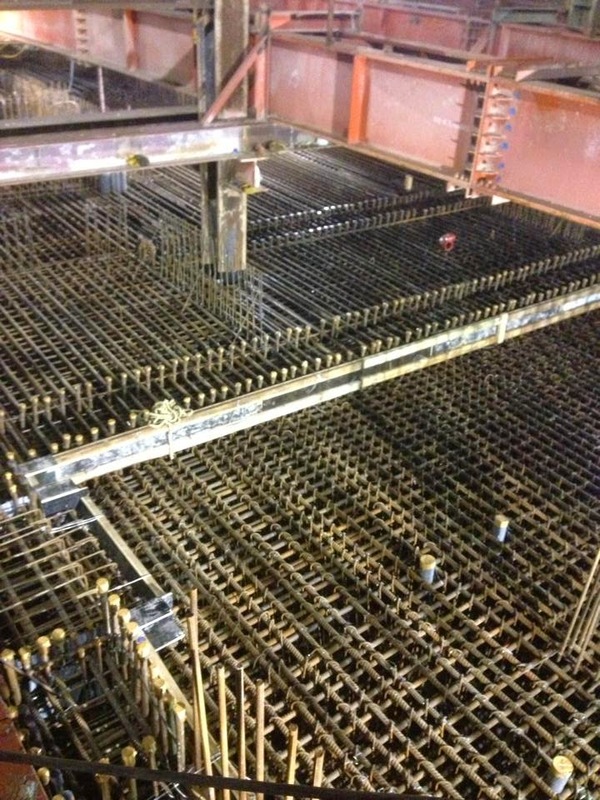 Following the casting of this level, the station roof slab will be cast. 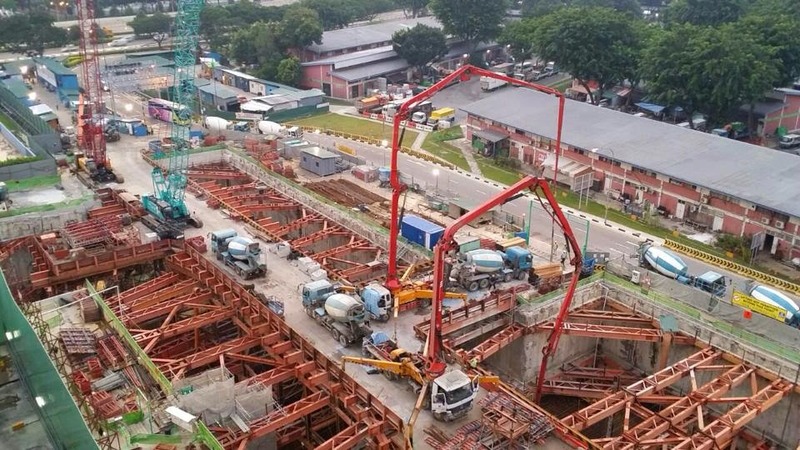 Like Expo and Tampines East stations, concrete pumping was on going during the Deepavali public holiday. 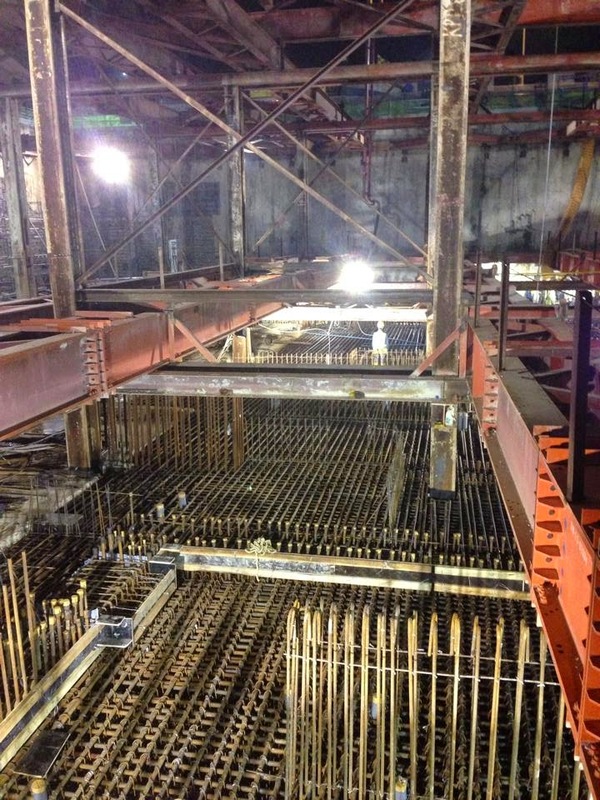 September 2014 - Casting of the mezzanine slab. Photo credit - Wong Hor Kin. 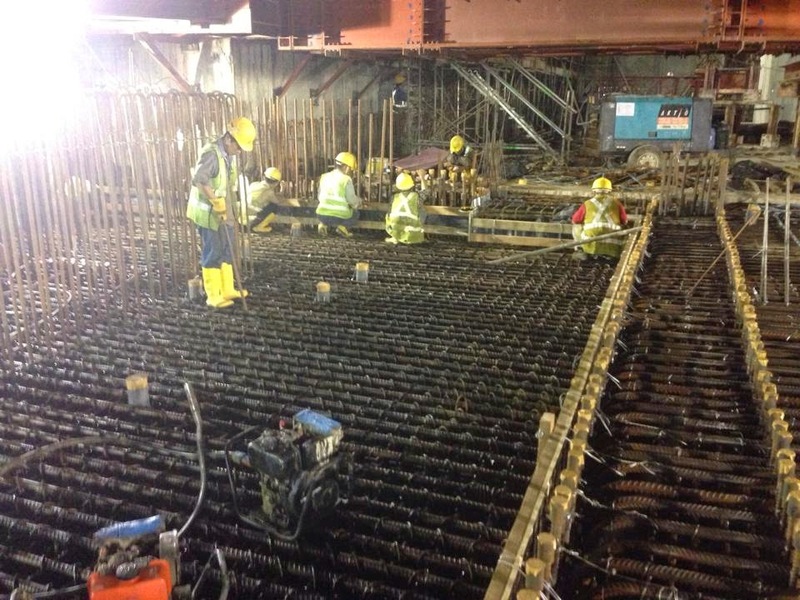 22 October 2014 - Showing the completed mezzanine slab and internal structure walls that have gone up. 22 October 2014 - Internal walls can be clearly seen in the foreground. 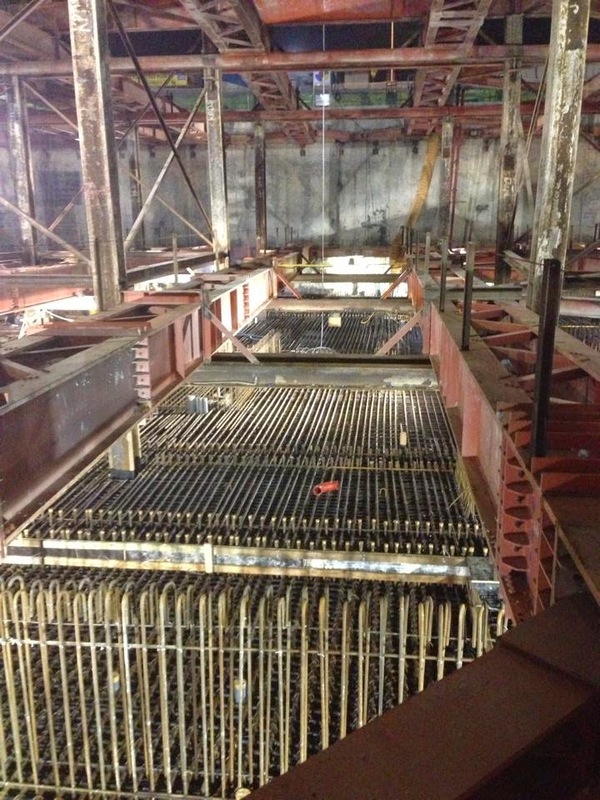 22 October 2014 - Slope toward concourse level is visible. This is where the escalators and stairs will be installed. 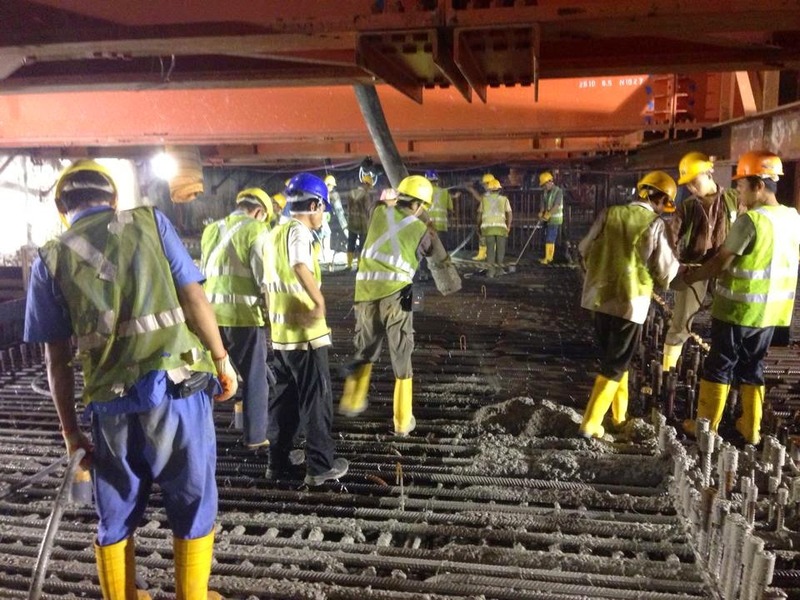 24 October 2014 - Casting of more portions of the mezzanine slab. 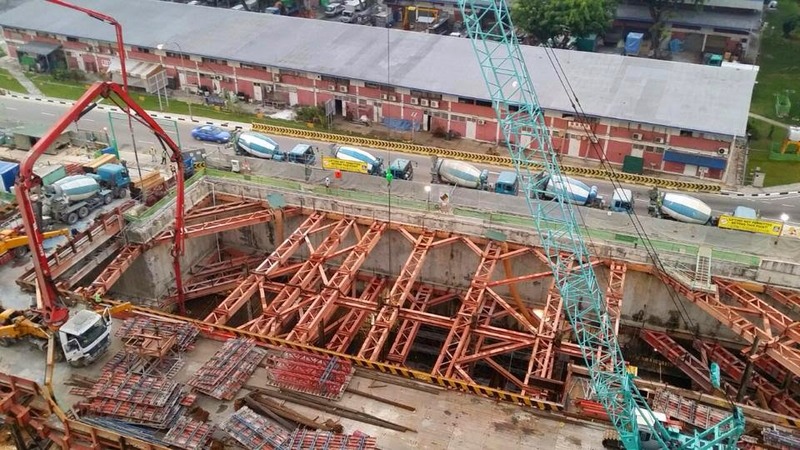 24 October 2014 - Casting of mezzanine slab.